I’m in the process of learning about the Jewish roots of my Christian faith and really enjoyed reading your Website. I’m praying for discernment as I learn, so that I don’t fall into any false teachings out there, especially regarding “Messianics” , Zionism and Christians. I look forward to receiving your information and free CD, “Knowing the Real Jesus.”. Thank you so much and may you be richly blessed in your ministry. In addition to sending you our free CD, “Knowing the Real Jesus”, I’m also going to mail you my book, “Christians Are Not Under the Law of Moses”. I believe this book will help you achieve a better understanding of our Jewish roots as Christians without falling into the legalistic errors and false teachings of many Messianics and Judaisers today. In Jesus Christ the Messiah, the middle wall of separation has been cast down between Jews and Gentiles, therefore we are “one new man” in the Body of Christ. The religious and racial segregation practiced by some Messianics today is unscriptural. All Christians should be able to worship together in the unity of the Spirit without making any distinctions regarding race, color, or ethnic background. Having said all that, I still believe in the importance of keeping the Ten Commandments, the sanctity of (Saturday) Sabbath observance, the veneration of God’s original Holy Days (Passover, Pentecost, Feast of Trumpets, Feast of Tabernacles, Yom Kippur, etc. ), and supporting the nation of Israel. I pray that the Holy Spirit will give you discernment, and that you will find the right balance between studying about the Jewish roots of our Christian faith without going to the legalistic extremes that many have in the Messianic movement. Categories: Christians Not Under the Law of Moses | Permalink. Reverting back to the law of Moses brings a curse. During the early days of the Christian church, the Galatian believers (both Jews and Gentiles) were in danger of falling from grace. Certain false teachers labeled as “Judaisers” had secretly infiltrated the church and were convincing the naïve new Christians that they needed to be circumcised and follow the Mosaic laws to be saved. When the apostle Paul heard about it, he was extremely alarmed. He pronounced a curse on these Judaisers and anyone who preached anything but the Gospel of Grace. Although the apostle Paul was a believing Jew himself, he was appalled that other Jews had come into the Galatian church and were preaching “another gospel”, confusing the young believers, and causing many to revert back to the Mosaic system that had become obsolete after Jesus the Messiah came and instituted the New Covenant. Tragically, I see this same problem occurring in many Christian churches today – particularly in Hebraic and Messianic congregations who want to become so Jewish in their worship of God that they go completely overboard and become immersed in the Old Testament Mosaic system. As a result, they end up extremely “Hebraic” in their style and practice of Christianity and they “turn off” most Gentile and Jewish prospects alike. The Christian church should be a melding of people of all races – both Jewish and Gentile believers in Jesus the Messiah. Whether you prefer to call Him Jesus, or Yeshua, the bottom line is, Jesus died to save people of all races, languages, and nationalities, and combine them into “one new man”, the universal Body of Christ. Beware of falling from Grace. “Oh foolish Galatians! Who has bewitched you that you should not obey the truth? Did you receive the Holy Spirit by keeping the law of Moses, or by the hearing of faith? Are you so foolish that having begun your [Christian life] in the Spirit [by faith], are you now being made perfect by the flesh [the law of Moses]?” – Galatians 3:1-3. He also asked that if salvation could be achieved by the keeping of the Old Testament Torah (Law), then what was the purpose of Jesus’ sacrificial death? Salvation by grace through faith – not Torah-keeping. God’s free gift of salvation comes by way of faith, and faith alone in what Jesus did for us, not what we can do for ourselves through the keeping of the Old Testament laws. Only by faith, do we receive the indwelling presence of the Holy Spirit. And only by the power of the Holy Spirit can we progressively become perfected. The moment we revert back to the keeping of the Mosaic laws for our justification, we are grieving the Holy Spirit, and place ourselves in danger of falling from our foundational position of salvation and justification by grace. Was Abraham justified by faith? Or, by the keeping of the law? I ask those of you who want to become so Jewish in your talk and practice of your Christian faith: Do you remember the example of Abraham – the father of the Jewish race? What do the Scriptures say about his justification before God? It calls Abraham “the father of faith”. “Abraham believed God,” and it was accounted to him for righteousness (Galatians 3:6). Therefore, salvation, justification, and righteousness – both in the Old Testament and the New Testament, have always been by faith. The prophet Habakkuk declared (while still under the Old Covenant), “For the just (justified) shall live by his faith.” (Habakkuk 2:4). The apostle Paul also quoted this same verse in Galatians 3:11. Beloved, I pray that you will heed the voice of the Holy Spirit and come out from among any church or group that is deceiving you –that is preaching “another gospel and another Jesus” (2 Corinthians 11:4). The true Gospel of of Jesus Christ is a gospel of salvation and justification by grace through faith in Christ’s redemptive work for us on the cross. Do not listen to the modern-day Judaisers who claim they have a new or better revelation from God, or who teach that you must revert back to the Mosaic system – touch not, eat not, keep Torah, and so on. Salvation has always been by grace through faith in Jesus Christ, the Messiah, and not of works, lest anyone should boast in their own righteousness, and nullify the work of Christ on the cross (Ephesians 2:8-10). For further study of this subject, we encourage you to order our free booklet, “Christian Are Not Under the Law of Moses” by Luis Josephus. Order additional copies to give to your friends and loved ones who are caught up in the deceptive teachings of Judaizers and legalistic churches. With your donation of $10.00 or more to our ministry, we’ll send you the gift of this book. Categories: BOOKSTORE, Christians Not Under the Law of Moses | Tags: 2 Corinthians 11:4, Abraham, Christians, Church, Ephesians 2:8-10, Faith, False Teachers, Galatians 2:16-21, Galatians 3:1-6, Grace, Habakkuk 2:4, Jesus Christ, Jews, Judaisers, Justification, Legalism, Messiah, Salvation, Yeshua | Permalink. In part one of this message, we discussed that there is much confusion in the Body of Christ today regarding which parts of the Old Testament laws we should be observing. The Good News Gospel of Jesus Christ makes it clear and consistent: Once a person has trusted in Jesus Christ the Messiah, his salvation and righteous standing before God the Father no longer depends on observing the law of Moses. The animal sacrifices, circumcision, the priestly system, Kosher foods, the stoning of people to death, the eye-for-an-eye, tooth-for-a-tooth mentality, and so on, have been done away with under the New Covenant. So why are so many Christian people – both Gentiles and Jews, reverting back to the Old Covenant system of Moses? I believe that many are attracted by the appeal of learning more about the Jewish roots of the Christian faith. After all, Jesus was Jewish, the early disciples were Jewish, and we need to appreciate our Jewish heritage in order to understand the context of our Christian religion. And that is as far as it should go. Unfortunately, in their enthusiasm for learning more about their Jewish roots, many Christians are lured into attending Hebraic and Messianic congregations that have overstepped their boundaries and have become modern-day Judaisers. These congregations claim they are followers of Yeshua Ha Machiach (Jesus the Messiah in Hebrew), but instead of preaching the Gospel of Grace that Jesus preached, they preach the obsolete laws of Moses. They forget that the Old Testament laws of Moses have been done away with, and we are now under a New Covenant – the New Covenant of Grace. 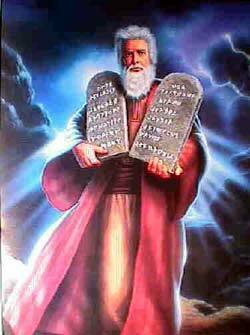 The laws of Moses were only temporary “schoolmasters”. They were instituted by God only for a certain period of time to teach us about sin and transgression, God’s holiness, and drive us to faith in Jesus the Messiah. But after the laws of Moses served their (temporary) purpose and Jesus came and sacrificed His life for us, they were no longer necessary. God Himself had predicted long ago, that the Old Covenant would one day be replaced by a new and better covenant when Messiah Jesus would come. When Jesus the Messiah finally came, He did away with the old system, and instituted the new system — a better covenant, that produces personal holiness and righteousness based on faith and obedience to the indwelling presence and guidance of the Holy Spirit. Jesus now lives inside each of us and tells us how we should live, and what we should do, in order to please God the Father. In Part 3 of this teaching, we will examine the prevalence of religious deception today, and the spiritual dangers of reverting back to the Mosaic laws and falling from grace. Categories: Christians Not Under the Law of Moses | Tags: Gospel of Grace., Hebraic Congregations, Jeremiah 31:33, Legalism, Messianic, New Covenant, Old Covenant, Our Jewish Roots. | Permalink. Whether you call Jesus by His transliterated English name, JESUS, or by His Hebrew name YESHUA or YAHASHUA, it doesn’t matter to Him one bit. He will hear your prayers in whatever language you choose to address Him. What does matter, however, is that you believe and trust in JESUS to be the Savior and Lord of your life. If you are trusting in His substitutionary death on the cross on your behalf for the forgiveness of your sins and His imputed righteousness, then your salvation is by “grace and truth” as the apostle John said in John 1:17, and not by your observation of the Old Testament Mosaic laws that have been done away with in the New Testament (New Covenant). The Mosaic laws were only temporary. They were the “schoolmasters” that taught us to have faith in God and disciplined us in the practice of holiness and obedience. However, now that we have come of age and live under a new and better covenant, God’s laws are written in our hearts – not on tables of stone. The New Covenant also brought many new reforms. Many of the old Mosaic laws were discarded under the New Covenant as outdated or ineffective for producing true righteousness, such as the priestly system, the sacrificing of animals, the eye-for-an-eye mentality, kosher foods, and many other antiquated relics too numerous to mention here. In Part 2 of this teaching, we will examine the Judaizers in the church of Galatia who were perverting the gospel of Jesus Christ with their false teachings and how this relates to the legalism so prevalent in the Christian church today. Amen brother Luis! If Paul was still among us these days he would be amazed with the fact that even almost two thousand years after his own time, the Judaizers are still stealing from believers what the Messiah Jesus said on His cross, that ”it is finished”! Keep on bringing to light the works of darkness and they will no longer be. You are not alone in this. May He bless you and strengthen you with a double anointing of Paul’s anointing. Categories: Christians Not Under the Law of Moses | Tags: Gospel of Grace., Jeremiah 31:33, Legalism, New Covenant, Old Covenant | Permalink.